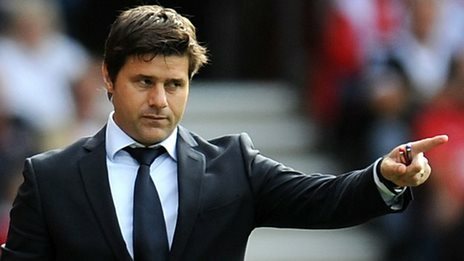 A whole lot of nothing for Tottenham in the holding midfield role so far this season: Etienne Capoue and Ryan Mason have been the preferred pairing in recent weeks, both of whom work hard, but they do not have a strong array of passes at their disposal and are each guilty of giving the ball away too frequently. There is not much difference between Capoue/Mason or Mousa Dembélé – who looks like a shadow of the player he was when he first joined the club – and Nabil Bentaleb, none of them tend to be the weakest link in any given line-up, but they certainly have not been adding any real positives. Benjamin Stambouli escapes any criticism merely because I have not yet seen enough of him to get frustrated as yet. On the rare occasions where Spurs have played well this season, the trio of Nacer Chadli, Christian Eriksen and Erik Lamela have been the ones pulling the strings, linking up nicely behind the striker and – in the case of the first two – getting on the scoresheet. However, when the team in not performing, none of them have the ability to put them on their back and drive them onwards – in the style that Gareth Bale did so well in his final two years at the Lane. Eriksen is undoubtedly the best of the three and offers the most potent scoring threat (even though Chadli has more this season), yet he is often the player that is substituted when Pochettino wants to make a change. Lamela has a nice touch and quick feet, but outside of two goals against Asteras Tripoli, there has been nothing worthy of the £30m he cost Tottenham from Roma. Andros Townsend just runs at defenders, rarely passes and regularly loses possession – the only change to that pattern is when he takes one of his many shots, which is invariably blocked on the edge of the box. Aaron Lennon does not look anything like the player he once was, perhaps suggesting his pace is going as he gets older and he does not have the skills to compensate for losing that half-a-yard. And then there’s Paulinho, who was last seen playing well a year ago at home against Stoke, but since an injury in that match he has failed to perform well for club or country. Probably a misnomer that I even used that word, given that between Emmanuel Adebayor, Roberto Soldado and Harry Kane, they have managed a total of three Premier League goals in the 11 matches so far. Kane is another player I will give a pass too – he does not look like the most amazing prospect, but he works hard and he has regularly found the net in the cup competitions, so he should be given more of a chance in the league, especially with a lack of any competent alternatives. As for Soldado, if I was looking for something positive to say about him I could point to his link up play, which is better than either Kane’s or Adebayor’s, but in front of goal he looks as bad as any striker I’ve ever watched at Tottenham. If there is any hope for him to be salvaged, Soldado should be told that he will be playing for the next five games regardless of what happens, just try to score and get his confidence back. There may be hidden talent in there still that has not been seen since he transferred from Valencia, but it is really hard to see it right now. Despite Soldado’s ineptitude, my biggest criticism for the forward line goes to Emmanuel Adebayor, who has started ten of Tottenham’s eleven Premier League fixtures so far and mustered just two goals. The Togolese striker appeared to be rejuvenated in the early days of Tim Sherwood last year, but since then he has not worked hard enough leading the line and fails to find the net often enough to be an automatic selection. On his day, Adebayor can be a devastating player, it just is so rarely his day my patience has completely worn off with him. He keeps faith with players who regularly under-perform: see Rose, Kaboul and Adebayor; then substitutes the biggest goal scoring threat we have (Eriksen) when we are trying to get back into a game. If you cannot even select the strongest team (as seen by me, admittedly) then you’re never going to be able to achieve your potential. He has no way of changing the game – the fortuitous comeback against Aston Villa last week is the only time that Spurs have come from behind to get any points in 2014/15, compared with getting 17 points from losing positions under Andre Villas-Boas and Sherwood last year. The team does not seem to have a particular playing style – there was talk of a high-pressing game, but I have seen no evidence of that outside of the first two matches of the campaign. When Tottenham have the ball, there seems to be no real plan of what to do with it, hoping that Eriksen or Lamela will come up with a moment of brilliance is not a plan. The players do not appear to be motivated and their effort levels are as low as I can remember seeing at the Lane. Losses to Stoke, Newcastle and West Brom at home all came without much resistance from Spurs, no sense of playing for pride or for the shirt, just lackluster running around and then mild disappointment at the final whistle. It is being noticed too, there was no point in any of those games where I expected us to grab a late equalizer and I actually turned off all three before the end. While those on the pitch have to shoulder some of the blame for that, it is also up to the manager to motivate his team. Pochettino just does not do that. I thought yesterday John, that there was a clear lack of effort from most of the players (Mason and Kane are the only ones that really tried), which made me think is there an agenda to get him sacked? Agree with the majority of your article, I am not a fan of Chadli, but have to admit he has contributed with goals this season and far more than the strikers. I feel that Lennon should be in the side, as he still has something to contribute. But yes I am beginning to think a change is necessary.